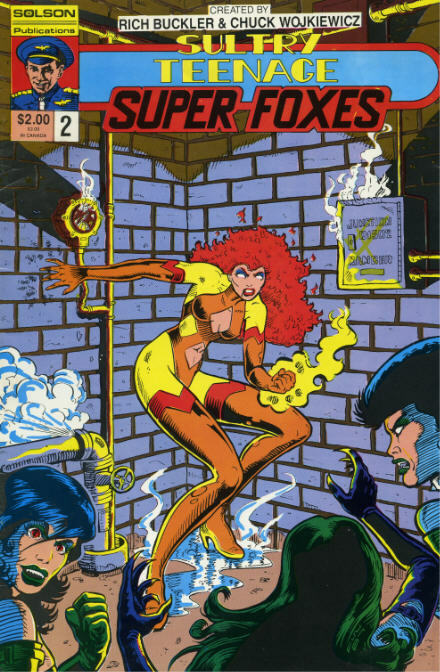 Could this company have produced the world’s worst comic books ?? Perhaps. Amongst the couple of dozen black and white comics they issued in 1986/1987 lots of their books had the words “ninja” and “samurai” in the title which is always a bad sign. One series called “Reagan’s Raiders” featured the then President Reagan as a kind of Sgt Fury costumed character !! The person ultimately responsible for Solson Publications was a Gary Brodsky who seemed to think it cute to explain in the company name that his father was Sol Brodsky. 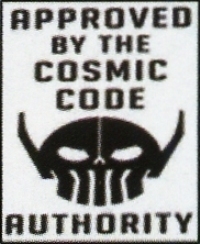 Rich Buckler was somehow involved also. I had previously enjoyed his run on The Fantastic Four and it was no doubt his name on the cover that prompted me to pick up these books (out of the bargain bin) 20 years ago. Was the advertised third issue ever published? Even these two books are missing from the GCD Comic Database. 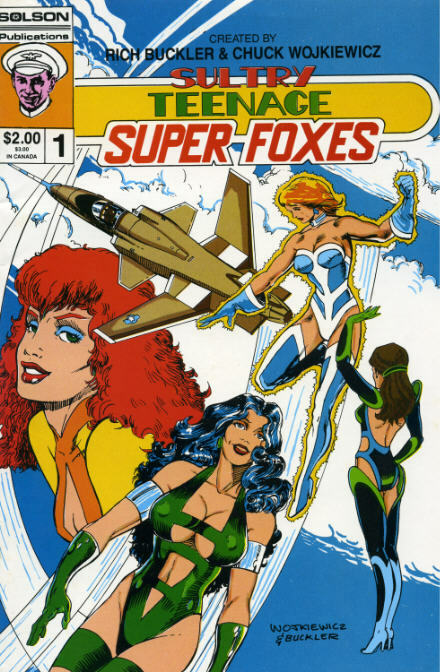 PS: As a side-line Solson also had an “Exotic Pet Catalog” as well as their far from exotic comics. 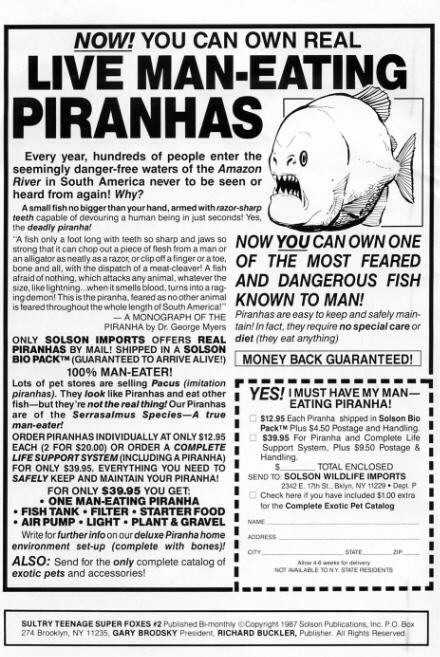 I presume this advert for “Live Man-Eating Piranhas” is for real. Sure makes the old adverts for “Sea Monkeys” seem tame.